We had such a fun day in the city yesterday and I felt like we settled into our NYC groove! 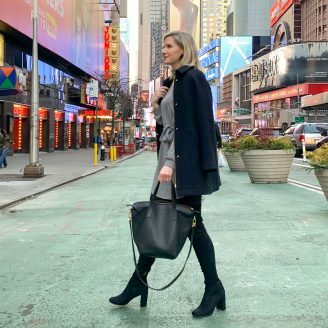 We exclusively took the subway, and I swapped from my heels for meetings to flats for commuting pretty much all day long. 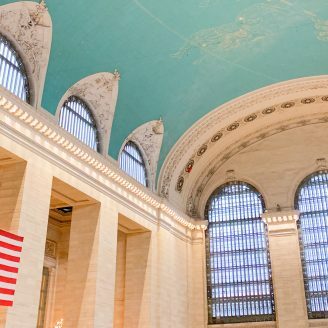 Yesterday I also posted to Instagram a photo from our time at Grand Central Station on Day 2. 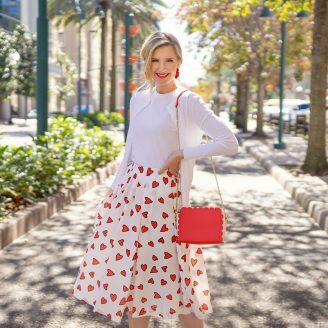 In case you missed it, check it out! Our first meeting of the morning was with Talbots at Balthazar and it was an actual dream! I’ve been wanting to experience Balthazar for as long as I can remember. It’s iconic New York and it lived up to everything I thought it would be. Cozy and chic. I’m so glad we got the chance to experience it this trip. Note: try the green juice, it’s so delicious!! 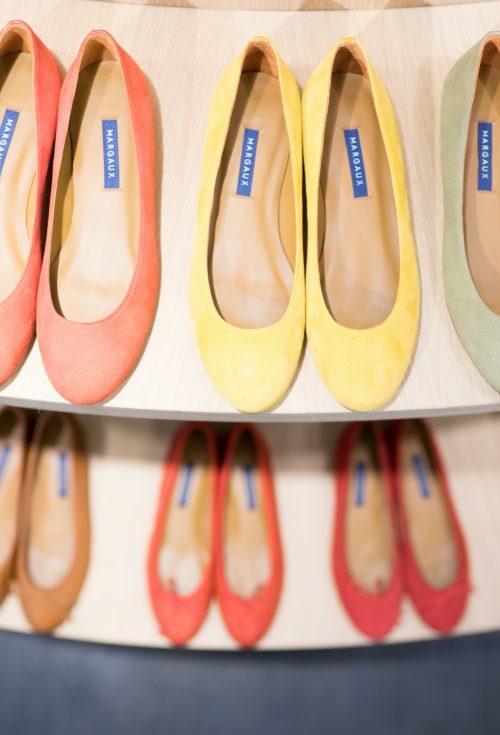 I’ve heard so many AMAZING things about Margaux shoes and was so excited to see that they had recently opened up a shop on Bleecker Street. So after our first couple of meetings I popped in to try on their shoes! Guys, I can NOT adequately explain just how comfortable their shoes are. Truly, by the time we walked in, my feet were aching, and slipping on a pair of ballet flats seemed like the last thing I wanted to do… But these are made for comfort and they feel like actual clouds. I ordered a pair of their newest fit “The Pointe” in the color Rose Nappa and I can not wait for them to arrive! 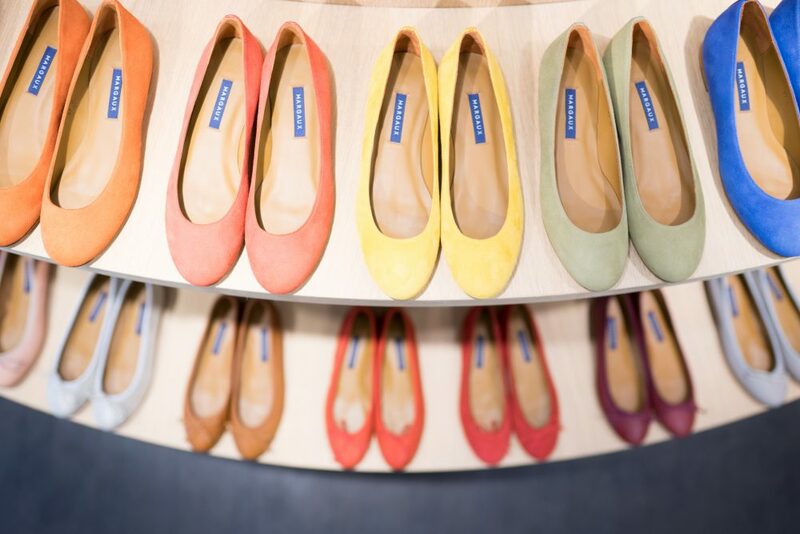 If you are looking for the perfect classic ballet flat, look. no. further. I currently have two favorite healthy, easy, and delicious lunch spots in the city, by.Chloe and Sweetgreen. 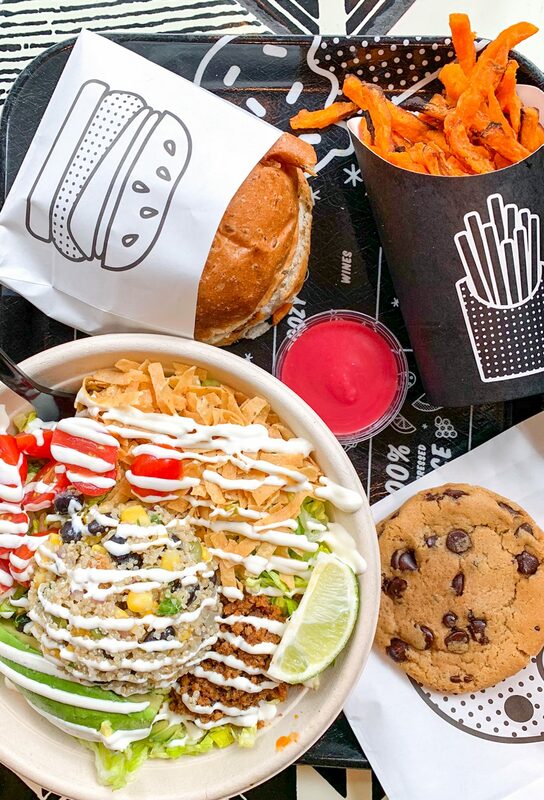 When we are in town we like to go all out for dinner, so we often find ourselves just grabbing something healthy on the go for lunch, and by.Chloe has been our go to for years. But this trip we finally tried Sweetgreen, and it has also been in heavy rotation! Note: Make sure you get the vegan/gluten free chocolate chip cookie at by.Chloe. It’s THE best. One of my favorite nights of any and every trip to the city is our double date night with Carly and her boyfriend. We always have the best time and end up laughing and swapping stories until the restaurant practically kicks us out. 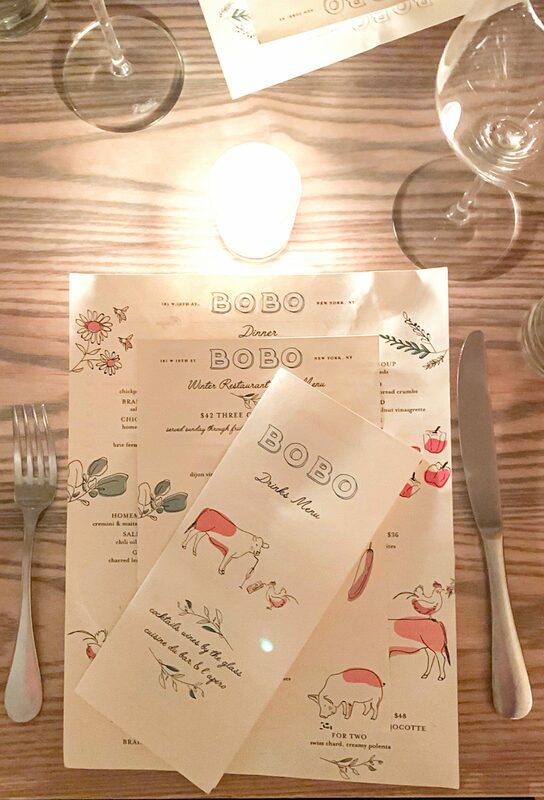 Last night we went to Bobo where the food, ambiance, and company were perfection. At one point it felt like we were living in a real life movie as we sipped wine and talked about our dreams. Another unforgettable New York night. Note: The steak tartar was out. of. this. world. Oh girl, you HAVE to get this bag from Cuyana, it fits EVERYTHING!! I love it! I have it in black and pink! Have you heard of Hu Kitchen? It’s Paleo and located in Union Square. So yummy! Oh my God! I really love this new york diaries!! And they have made me miss those weekend lookbook post a lot!!!!! Wow! What a dream! Thank you for sharing all of this! Definitely helping me plan my next trip! Loved keeping up with your New York trip! Makes me want to visit the city ASAP!